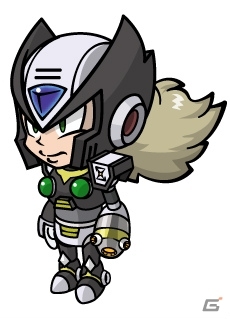 Axl, Air Man and Black Zero will appear as gacha characters when the player reaches level 31. Like OVER-1, they won't be around forever. As a reminder, Zombie Cafe is available to play in North America but we've yet to see these Capcom collaborations make the jump overseas. In the meantime, you can scope out more screens and character art here. Is he really called Over-1 in this game? 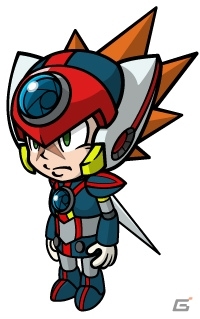 Since in Xover that was more his model number due to being a mass-produced reploid, and you name him whatever you want because he's supposed to be you the player. Alastor from DMC is the only one new in the current event (August 1-8, with trade till 11), and a new Dante in the current gacha. Other gacha will have previous characters from Makaimura and Vampire on August 2-3, with Rockman appearing later (August 4-5?). Axl and Over-1 aren't present, so they will appear in the next event on August 8 or 9. 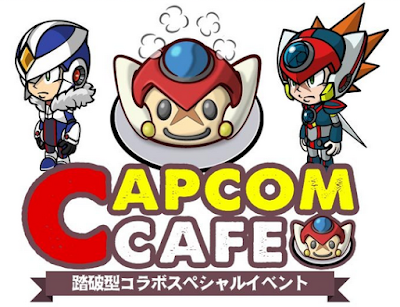 There will also be a Zero and Axl recipe like those Mega Man and X heads before. "Axl, Air Man and Black Zero will appear as gacha characters when the player reaches level 31." Actually, it's level 31 as in stage 31, not the player lv. 31. All gacha and events are unlocked at player lv. 8, and that event type has 31 stages (at first only 16 available, and later the rest), with a character being won at certain stages, usually 2 characters with 100% chance at lv. 15 and 30 and some being won randomly after passing certain levels. It seems Over-1 is the 100% chance character of lv. 30. 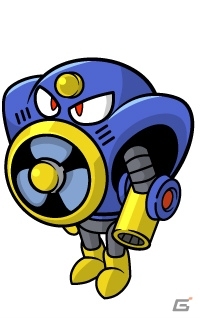 Air Man and Black Zero are from the current event, where you gain points by completing the stages (five available, each with a different difficulty) and use them to trade by characters or other stuff.